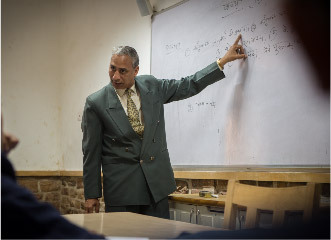 The Department of Hindi and Sanskrit comprises a team of six teachers who constantly work to develop and re- energise the learning of Hindi and Sanskrit through various classroom tested and ‘outside the classroom ‘ activities that not only teach the language in a learner centred manner but also lead to a systematic development in the use of the language. A number of activities like role plays, creative writing, language games, debates and group discussions are conducted for enhancing the language skills and imagination. In addition to these, streamlined efforts are taken up outside the classroom to stimulate the engagement of the students. The annual Hindi Magazine ‘Uplabdhi’ gives them a platform to express their thoughts. Our students are exposed to rich literature of the two languages. They are trained to use the skills of listening, speaking, reading and writing, in a variety of contexts and are able to adapt language to suit different tasks, audience, and purpose. They are imparted with the critical ability to analyse and evaluate diverse texts and are equipped with the language to question ideas and articulate their point of view. Proper technique of recitation of Sanskrit Shlokas, carefully chosen with a secular message, is taught to the students. The Department runs the Hindi Literary Society which conducts various public speaking and creative writing activities in the course of the year. Dramatics also forms an important component of the same. The students are also prepared for Inter School events. 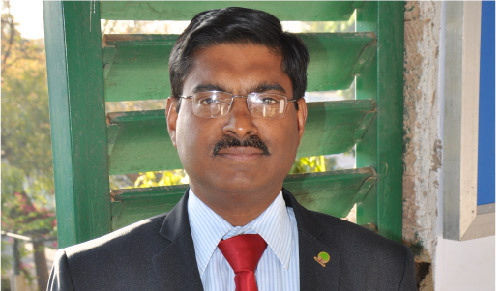 Mr Manoj Kumar Mishra is the Head of the Hindi Department. He has been with The Scindia School for the last 18 years. 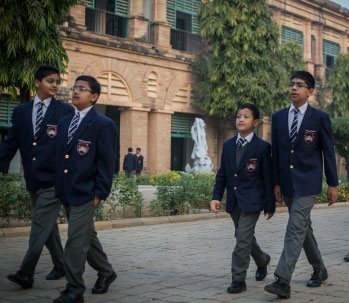 Mr Mishra was the Housemaster of Madhav House where he always encouraged the boys to aspire for excellence. Being essentially a man of literature, he has translated 4 books, edited one and also written several articles and stories which have been published in different magazines and also broadcast on AIR. His other interests include Public Speaking and Theatre. He has been preparing boys for elocutions and debates. 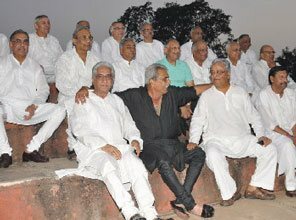 He is the producer and director of the Annual Hindi Play each year. Mr Mishra is a keen adventure enthusiast and has been a part of 13 cycling expeditions. He was the IIIrd officer of NCC Air Wing and has received training at the Air Force Administrative College, Coimbatore. He founded the Aero modelling hobby in school and ran it successfully for six years. His sporting interests include rifle shooting and table tennis. Despite all the above mentioned strengths he is very modest and unassuming.The love and respect of his students keeps him motivated. He would love to see the school as an extended family, where each member is recognized by his uniqueness. Mr. Ganpat Swarup Pathak has worked in various schools for a quarter of a century. Besides being a teacher of Hindi, he is also an author and has the credit of publishing two books. Mr. Swarup has been closely associated with Theatre, Service Projects and Round Square. As a Hindi language teacher, he wishes to contribute to academic as well as other spheres of life in a boarding school. He has joined the school on July 01, 2017 as Sanskrit Faculty. 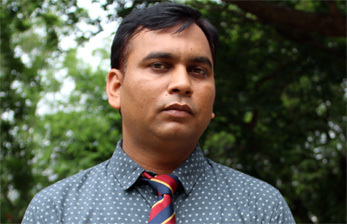 He is a Post Graduate in Sanskrit from Sampoornanand Sanskrit Vidyalaya, Varanasi. He has cleared the Teachers' Eligibility Test of UP. Mr Tomar has 10 years' teaching experience in different schools and is an active member of the Sanskrit Sambhashan Shivir& Sanskrit Bharti. 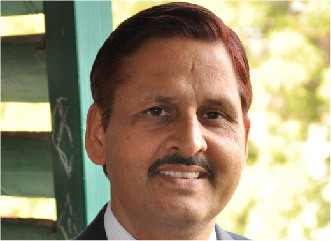 Mr Jagdish Joshi from the faculty of Hindi holds a Master’s Degree in Hindi and Sociology. He has also done an M.Phil and is a certified Cambridge University Diploma Teacher with a B.Ed Degree to his credit. 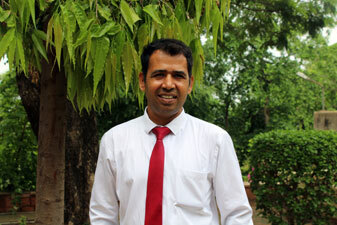 As a passionate educator for two decades Mr Jagdish Joshi has a lot to offer to the School. His vast experience in different residential schools is the biggest asset to The Scindia School. In his previous assignments he has shouldered various academic and pastoral care responsibilities like those of an IB Examiner, Head of the Department (Hindi), and also Housemaster. Mr. Joshi has represented the District in Volley ball, in his college days and is also adept at playing squash. He is often present with the students on the sports field, during evening games. He describes himself as a go-getter who has an eye for perfection. He wishes to instil the same spirit and attitude amongst the students. 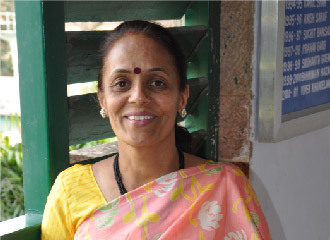 Ms Raksha Siriah joined The Scindia School in 1996 as a member of the Department of Hindi. She has a master's degree in Hindi and has also done B.Ed. 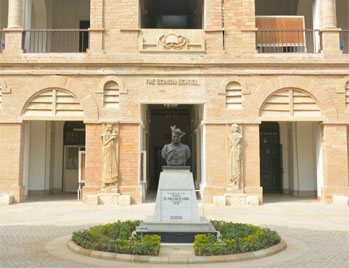 She served as the Housemaster of Kanerkhed House and after having completed her tenure she worked in the capacity of mentor of Mahadji House. Apart from her academic duties she involves herself in preparing students for debates, elocutions and dramatics, an activity she has begun to enjoy a lot. Her indefatigable energy and zeal make a very significant impact in the lives of the students. Ms Siriah is also passionate about adventure activities and has been a proud member of 10 mountaineering and 10 cycling expeditions. With simplicity and honesty as her guiding mantra it is the love of her students which keeps her constantly motivated. She wishes to see the Scindians with a distinct identity and working for the betterment of society. Ms. Ahilya Shinde joined The Scindia School in July 1985 as a member of the Department of Hindi. She has an MA degree in Hindi but music remains her other abiding passion. She was appointed as the first Housemaster of Nimaji House, a responsibility that she shouldered for 11 years. She is presently the Dean of Activities. 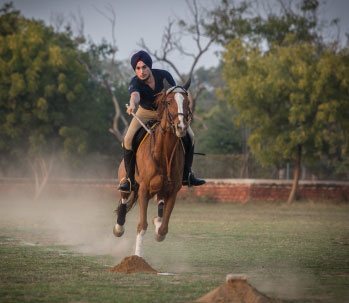 Working with students in various extra-curricular activities, is a passion with her. 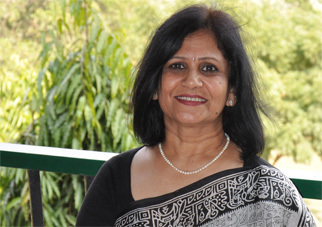 Over the last 30 years Ms Shinde has written and directed numerous plays. She has also organised musical shows for school functions. Her other interest is to explore new places along with her students. Ms. Shinde believes that there should be no compromise with the quality of education, selection of faculty as well as students. Her greatest joy in life is to see her students do well in their career. The Department takes out “UPALABDHI” THE ANNUAL HINDI MAGAZINE. The aim is to inculcate interest of the students in the Hindi language through various creative activities conducted outside the classroom, Uplabdhi ,the Annual Hindi magazine is a medium through which students improve their different writing skills, It gives space to express their feelings, observations, thoughts, dreams It gives them self-confidence which human being needs most for their development. It get published after the second academic term of the school ends. It is looked after by one teacher In –Charge and six to ten student editors. KaviSammelans and Shloka recitations were organized to expose the students to the best of literature. The School team won the Radio Play at the Welhams Literary Fest. Hindi week was observed. 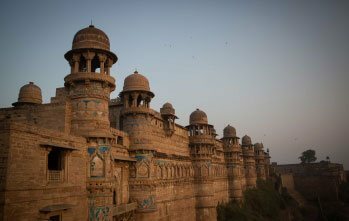 It involved talks on the importance of Hindi language, creative writing competitions and poetry recitation.